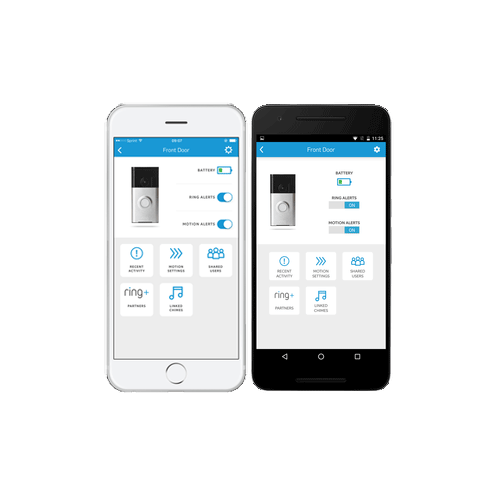 The Ring Video Doorbell Pro gives you the freedom to answer the door from anywhere in the world with your Internet enabled iOS or Android device. Ring Video Doorbells are an effective way to increase your home's security and enhance convenience. This Pro version is enhanced with 1080p high definition video. It wires to your new or existing doorbell wiring for power and uses WIFI for audio/video communicatoin to your home's network. 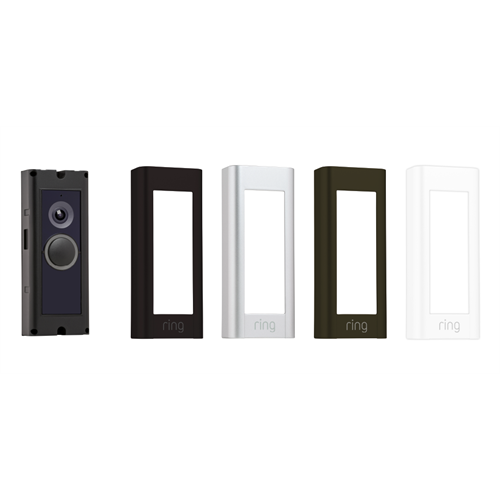 The Ring Video Doorbell Pro has a small footprint and includes 4 interchangeable colour face plates. 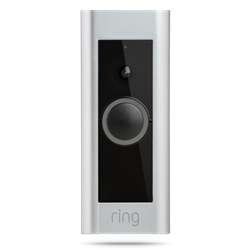 Connecting to your existing doorbell allows Ring to ring your exiting house doorbell. When a visitor arrives motion is sensed, or they Ring the doorbell, you will receive a notification on your smart phone so you can see who's at the door and have a two way audio conversation. Full colour daytime video is combined with infrared night vision mode so you can see who's there day or night. Add a Ring plug-in chime or multiple plug-in chimes to make sure you never miss a visitor when you're home. The Ring Doorbell Pro has a built in motion sensor and the user can draw to create custom motion zones to virtually eliminate false alerts, and you will be alerted to someone near the door even without them pressing the doorbell button. When you get the alert you can view who's there and optionally speak with them proactively. Motion alerts can also be deactivated if not needed. 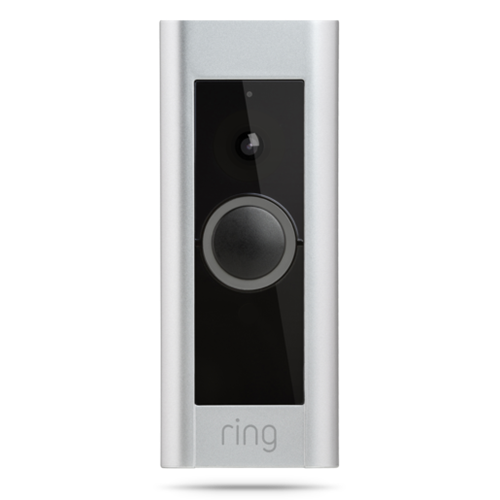 Ring Pro also allows the user to pro-actively initiate a session with the doorbell to see what's happening even without a motion trigger or button press at the doorbell. All of this functionality is with ZERO set up or recurring fees! Ring logs activity automatically so you can review it any time on your smart phone. If you wish to record video, Ring offers a cloud recording option for a monthly fee of USD$3 or USD$30 annually. A 30 day free trial is included so you can check it out. MUST be wired to house doorbell wiring for power. No battery. Package includes: Ring doorbell, mounting bracket & level, screwdriver, drill bit, wood screws, masonry screws and anchors, user's manual. Note: The Ring Doorbell requires a strong solid WIFI signal, an always on Internet connection where it is installed with AT LEAST 1mb upload speed to operate well It must be wired to your house doorbell wiring for power.